This is a great opportunity to own property in one of the best kept secrets around - Masaryktown! This very historic area of Hernando County is rich with history. 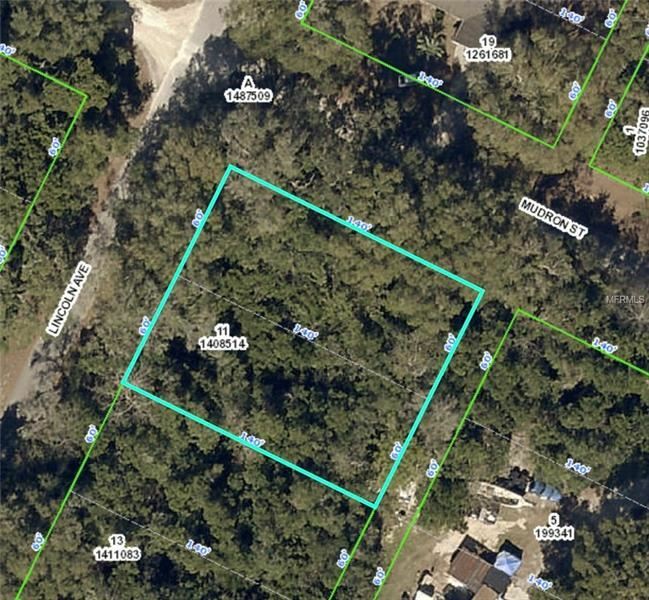 Just north of the Pasco County Line, Masaryktown is close to Pasco County -but if you build your dream home here, you could save thousands in impact fees. (Hernando County impact fees are considerably less expensive than Pasco.) This location is close to US41, and the Suncoast PKWY. 30 minutes to Tampa, 12 minutes to historic downtown Brooksville and the Weeki Wachee Mermaid show is just across town. Dont miss your chance to own a pice of Historic Masaryktown, call today. The approximate monthly Principal & Interest payment for this property would be $82. This payment is based on a 30-year loan at a fixed rate of 4.12 % with a down payment of $1,500. Actual lender interest rates and loan programs may vary.